Het KPT is niet verantwoordelijk voor het gebruik van aangeboden informatie op een wijze die in strijd is met de Nederlandse wet- en regelgeving. De documenten zijn gesorteerd op uploaddatum (aflopend). Samenvatting: Presentation about structural assessment of damaged tunnels by Dimitris Bairaktaris and D. Bairaktaris. Samenvatting: Presentation about tunnel in landslides by Manolis Haralabakis and Panos Panetsos. Samenvatting: Presentation about the Mont Blanc Tunnel. Samenvatting: Presentation about robotic intelligent vision and control for tunnel inspection and evaluation by Costas Loupos. Samenvatting: Presentation about refurbishment of tunnels in the future by Karl Baumann, Volker Wetzig and Maximilian Wietek. Samenvatting: Presentation about refurbishment of a listed tunnel: Maas Tunnel, Rotterdam (NL) by Han Admiraal. Samenvatting: Presentation about rail tunnel evacuation by Karl Fridolf. Samenvatting: Presentation about mobile robot for tunnel inspection by Rafael Lopez. Samenvatting: Presentation about computer vision for structural damage in tunnels by Konstantinos Loupos. Samenvatting: Presentation about case studies of tunnel inspection and assessment by Peter Wright. Samenvatting: Presentation about Aging Tunnels – Safety in operation and during refurbishment. Samenvatting: Presentation about acceptable risk levels during refurbishment work by Niels Peter Høj and Matthias Schubert. Samenvatting: Presentation about stad ship tunnel: security issues of a mega project by Terje Andreassen. Samenvatting: Presentation about risks of terror and accidents in tunnel systems - on a rationale for their management by Michael Havbro Faber and Matthias Schubert. Samenvatting: Presentation about human behavior Heinenoord tunnel accident by Johan Bosch. Samenvatting: Presentation about explosions and fires: Structural threats and possible mitigation measures for underground infrastructure by Goetz Vollmann. Samenvatting: Presentation about cyber security of tunnel control centres: possible threats and protection measures by Christian Thienert & Frank Leismann. Samenvatting: Presentation about assessing the passage of hazardous goods through road tunnels to improve security management planning by Benjamin Truchot. Samenvatting: Presentation about Victoria station upgrade by Taylor Woodrow. Samenvatting: Presentation about Road tunnels: complex underground road networks by Bernard Falconnat and Frédéric Walet. Samenvatting: Presentation about renovation of motorway tunnels by Thomas Vandenbergh. Samenvatting: Presentation de PIARC’s expertise at the service of the road tunnels community par Marc Tesson. Samenvatting: Presentation de Les dessous de La Défense: des enjeux d’exploitation par David Delplanque. Samenvatting: Presentation Le Grand Paris Express par Gérard Chérel. Samenvatting: Presentation de la modernisation des tunnels routiers franciliens par Arnaud Guillé. Samenvatting: Presentation about the impact of fixed fire fighting systems to tunnel structure design parameters by Max Lakkonen. Samenvatting: Presentation about Amsterdam Central Station by Ron Beij. Samenvatting: Presentation general assembly 2015 by Roland Leucker. Samenvatting: Presentation about tunnel safety & security by Dr. Götz Vollmann. Samenvatting: Presentation about the results from the Swedish metro project on fire safety in underground rail mass transport systems by Haukur Ingason. Samenvatting: Presentation about real time safety management system for road tunnels by Esther Kahlen and Anne Lehan. Samenvatting: Presentation about operational needs leading to safety research developments by Ulf Lundström. Samenvatting: Presentation about new energy carriers in underground infrastructures – unanswered questions and research needs by B. Truchot and G. Marlair. Samenvatting: Presentation about Modeling tunnel ventilation and fires by Francesco Colella. Samenvatting: Presentation about integrated help reaction chains for enchaincement of security in public transport by Christian Thienert and Christian Homagk. Samenvatting: Presentation about filling tunnel operation needs by a managing agent by Harmen van Schaik. Samenvatting: Presentation about experiences of tunnel safety officer by Les Fielding. Samenvatting: Presentation bridging resources in large crisis management by Michelle Burghardt and Maximilian Wietek. Samenvatting: Presentation about RAMS analyses of complex technical systems in underground facilities by N. P. HojNiels, Peter Høj and Matthias Schubert (HOJ Consulting). Samenvatting: Presentation about safety of CERN underground research complex by F. Corsanego. Samenvatting: Presentation about complex underground multipurpose facilities: safety challenges and solutions by D. Lacroix. Samenvatting: Presentation about operational safety in the underground facilities of a deep geological disposal of nuclear waste by Denis de Winter, David Claudel and Olivier Cite. Samenvatting: Presentation about fire safety in metro trains, tunnels and stations by Daniel Nilsson. Samenvatting: De Handreiking voor multidisciplinaire afstemming bij incidentbestrijding in wegtunnels is door Rijkswaterstaat, meldkamer, veiligheidsregio’s, politie en het Instituut Fysieke Veiligheid (IFV) gezamenlijk ontwikkeld. Het was een proces van overleggen, divergeren, schrijven, reflecteren en convergeren. Uit dit proces bleek dat partijen die betrokken zijn bij tunnelveiligheid elkaar weten te vinden. Iets wat jaren geleden geen sinecure was. Samenvatting: Dit naslagwerk legt de ontstaansgeschiedenis van het tunnelveiligheidsdenken in Nederland en de achterliggende overwegingen uit, met als doel mensen die nieuw intreden in de tunnelwereld, of mensen die op zoek zijn naar meer achtergrond, beeld en gevoel te geven bij het waarom van vigerende standaardvoorzieningen en -uitvoeringen. De publicatie richt zich vooralsnog uitsluitend op wegtunnels. In deze tweede versie (2018) is een aantal opmerkingen en aanvullingen op de eerste uitgave uit 2016 verwerkt. Samenvatting: This report identifies factors that contribute to the occurrence and severity of crashes adjacent to and within tunnels and suggests remedial treatments that will reduce the incidence and severity of these crashes. A preliminary examination of recorded road crashes immediately adjacent to and within a selected sample of Australian tunnels found that, while tunnels are relatively safe when compared with other parts of the road network, crashes in or near them are a significant source of road trauma and cause substantial delays to road users across the road network. As road tunnels form an important part of the road network, there is a need to ensure motorists can travel in a ‘Safe System’ consistent with the National Road Safety Strategy 2011–2020. Such a system acknowledges that road users will inevitably make mistakes, and that when they do, they should not be penalised with death or serious injury. The outcomes of the research will help to reduce the risk and severity of crashes adjacent to and within new and existing road tunnels. Samenvatting: De ondergrond is belangrijk voor winning van drinkwater en energie. Het gebruik van de ondergrond moet dan ook op een veilige, duurzame en efficiënte manier wordt ingevuld. Het kabinet vindt het belangrijk dat gebruikers van de ondergrond mee denken over hoe die ondergrond eruit moet zien. Samenvatting: Several jurisdictions with critical tunnel infrastructure have expressed the need to understand the risks and implications of traffic incidents in tunnels involving hydrogen fuel cell vehicles. A risk analysis was performed to estimate what scenarios were most likely to occur in the event of a crash. The results show that the most likely consequence is no additional hazard from the hydrogen, although some factors need additional data and study to validate. Samenvatting: Dit filmpje geeft aan wat te doen als weggebruiker bij brand in de Maastunnel. Samenvatting: Op 16 december 2016 is in Maastricht de eerste tweelaagse tunnel van Nederland in gebruik genomen. We blikken terug op dit omvangrijke bouwproject, dat het leven van inwoners, bezoekers en (internationale) weggebruikers heeft verbeterd. Door de samensmelting van infrastructuur en gebiedsontwikkeling, en van leefbaarheid en mobiliteit. Een onderscheidend project. Inspirerend. Anders dan anders. Samenvatting: The Dutch ministery of infrastructure and environment, Rijkswaterstaat is taking on a major challenge in order to achieve its policy objective; 20% energy reduction in 2020 in compare to 2010. Samenvatting: This paper aims to provide an inside of the durability of tunnel ventilation dampers in road and railtunnel application. Samenvatting: On 21 May 2014 an accident occurred in the Heinenoord roadtunnel resulting in a fire of aprox 50 MW. Samenvatting: Modern cities present urban planners with a challange that they have to understand the urban metabolism. Samenvatting: The effects of electriomobility on escape and rescue from tunnels. Samenvatting: Tank trailer fire in Skatesraum subsea roadtunnel; lessons learnd and new safety measures. Samenvatting: Saving of the energy regained from braking processes in netwerk outer areas. Samenvatting: Surveying and assessment of refurbishment measures and necassery upgrading for stations and tunnels. Samenvatting: Modern station architecture and its influence of user behaviour. Samenvatting: Improvement of the cyber security of the tunnel control centres. Samenvatting: Representation of human behaviour in risk models for tunnel fires. Samenvatting: Cooling of service rooms in railtunnels to increase lifetimes and minimise maintenance. Samenvatting: As a result of a research project a concept and tool has been developed for the improvement of the energy efficiency of road tunnels. Samenvatting: The transport of hydrogen in conventional gas tank, metallic cylinders and composite vessels on the road. Samenvatting: A process in which an applicant files forms to a (regulatory) agency/competent authority with required narratives, maps, etc., to ensure in advance that the proposed operation will be in compliance with the applicable standards. Permitting requirements are the legal (regulations and standards) requirements. Samenvatting: Mede op basis van wet- en regelgeving wordt in de Nederlandse wegtunnels regelmatig, op grote en kleine schaal, mono- en multidisciplinair geoefend. Daarnaast worden verbeterpunten van voorvallen opgetekend in evaluatierapporten. Deze handreiking biedt aanbevelingen en suggesties om collectief – tussen organisaties en over regiogrenzen heen – meer te leren van evaluaties. Samenvatting: The Austroads Guide to Road Tunnels provides high level guidance on the planning, design, operation and maintenance of new road tunnels in Australia and New Zealand. The Guide is designed to be used by engineers and technical specialists in tunnel technology, proponents of road tunnel solutions, senior decision makers, and regulators in the various jurisdictions associated with the construction of tunnels. Samenvatting: Uit onderzoek in opdracht van Rijkswaterstaat blijkt dat – in geval van een extreem grote brand – er sprake kan zijn van een verminderde brandwerendheid van het beton dat gebruikt is in wegtunnels die na 2008 zijn opgeleverd. Het gaat om de Salland-Twentetunnel (N35), de Ketheltunnel (A4), de Tweede Coentunnel (A10) en de Koning Willem Alexandertunnel (A2). De tunnels van Rijkswaterstaat zijn veilig om te gebruiken, onder andere door de strenge eisen die in Nederland gesteld worden aan brandveiligheid. Tunnels hebben veel veiligheidssystemen om de impact van een brand te beperken. Samenvatting: Dit document beschrijft de manier waarop binnen Rijkswaterstaat het veiligheidsmanagement is ingericht, met de daarbij gewenste proactieve veiligheidscultuur. De wijze waarop de veiligheid binnen de primaire processen is georganiseerd is nader beschreven in onderliggende kaders en richtlijnen. Samenvatting: Nederland en België staan aan de vooravond van een groot aantal tunnelrenovatieprojecten. Bij veel van deze renovaties zal een volledige afsluiting van de tunnel noodzakelijk zijn om de werkzaamheden vlot en veilig te kunnen uitvoeren. Deze paper belicht de mogelijkheden en randvoorwaarden van virtueel testen als middel om de duur van een volledige afsluiting bij tunnelrenovaties te verkorten. Samenvatting: Due to environmental considerations, much current transportation policy development is aimed at increasing usage of renewable energy sources. These include gaseous fuels such as LPG, methane, and hydrogen, along with electricity. This research project focused on a literature review that was intended to research the risks involved in using alternative fuels in road tunnels and underground garages. Samenvatting: Hoe blus je een brand in een tunnel op een veilige en een effectieve manier? Met een blusrobot! Samenvatting: Fixed Fire Fighting Systems (FFFS) are commonly in use in building industry. However, FFFS have seen limited use in highway tunnels in the United States. High traffic through many of these tunnels has resulted in fire issues relating to safety and property damage. Higher use of FFFS in other countries (e.g., Japan and Australia) shows high potential in reducing this risk. In order to have a better understanding of this risk and strategies to reduce it using FFFS, this research collects previously collected experimental, computational fluid dynamic (CFD), and cost analysis data of road tunnel fires using FFFS. Samenvatting: PGS 35 waterstoftankstations en PGS 261 stallen en repareren van aardgasvoertuigen. Samenvatting: Each project is unique and requires independent project-specific assessment. However, these recommendations represent guidelines and suggestions for the project development with respect to the selections of the tunneling method in general. The recommendations were developed on the 'design - bld - build'procurement model. If other moddels, such as e.g. the 'design-build'are chosen, the general approach will be the same, but with a different allocation of the responsibilities. Samenvatting: Het aantal tunnels stijgt. Niet alleen landen als Duitsland, Zwitserland, Italië en Noorwegen, maar ook Nederland kent behoorlijk wat tunnels. Er zijn veel mensen die last hebben van een beklemmend gevoel bij het rijden in een tunnel. Dat kan variëren van angst voor onverwachte situaties tot echte claustrofobie. Daarom een aantal tips voor het rijden in tunnels. Samenvatting: The purpose of this report is to provide a better understanding of user behaviour in roadtunnels in both normal and critical situations and to provide recommendations for tunnel design and operations based on this understanding. Samenvatting: Report on fire in a heavy goods vehicle in the Gudvanga tunnel on the E16 road in Aurland on August 5th 2013. Samenvatting: Op deze website wordt de renovatie van de Maastunnel in Rotterdam uitgelegd. Samenvatting: Conclusions from resent research about longitudinal ventilation in road tunnel fires. Samenvatting: In UK, the new energy vehicles count 2% of the road vehicles. Across European countries, the percentage of new energy vehicles is in the similar order. •The volume of the new energy vehicles is increasing. The hybrid/electric vehicles market share of total new car sale increased between 2013 and 2015. Samenvatting: HOW CAN WE IMPROVE THE CONDITIONS FOR SELF RESCUE? -DETERMINING IF WE HAVE LEARNT SOMETHING LATELY -DO NEW TECHNOLOGIES REALLY PROVIDE GOOD CONDITIONS FOR ASSISTED RESCUE? Debating if there is enough attention for rail tunnel emergency plans. Samenvatting: According to the TSI for Safety of Railway Tunnels (SRT) 1303/2014 clause 4.4.2 an Emergency plan shall be developed under the direction of the Infrastructure Manager in cooperation with the emergency response services and the relevant authorities for each tunnel. (The TSI applies to new, renewed and upgraded tunnels which are located on the European Union rail network.) Railway Undertakings intending to use the tunnel shall be involved in the development or adaption of the Emergency Plan. Station managers shall be equally involved if one or more stations in a tunnel are used as a safe area or a fire fighting point. Samenvatting: De aanleg van de spoortunnel in Delft was niet alleen een technisch hoogstandje: met name het proces naar de ingebruikname is bijzonder soepel verlopen. Met deze publicatie wil de projectorganisatie de geleerde lessen overdragen aan vergelijkbare spoor- en wegtunnelprojecten. Samenvatting: De Leidraad veiligheidsdocumentatie voor wegtunnels is bijlage 2 bij de artikelen 5 en 6 van de Regeling aanvullende regels veiligheid wegtunnels en artikel 2.13 van de Regeling Omgevingsrecht. Samenvatting: The report presents the main results of the six large-scale tests with different types of fixed firefighting system (FFFS) that were carried out in the Runehamar tunnel in June 2016. It describes the background to the tests and the performance of the different systems, and draws conclusions regarding the efficiency of the systems. Samenvatting: Nieuwe kennis over veilig optreden bij moderne voertuigen. Brandveiligheid elektrische bussen in tunnels. Samenvatting: De opgeleverde rapportage verschaft de eerste bouwstenen voor de duiding van de risico’s van elektrische bussen in tunnels. Samenvatting: This papers deals with the operational safety of galleries in case of fire, from the point of view of self-rescue and intervention. The primary focus is on road infrastructures but the main findings and conclusions apply also for galleries on railway networks. Samenvatting: In general, long road and rail tunnels often connect regions exhibiting different meteorological conditions. This is certainly the case where long mountain ridges are traversed, but is also common elsewhere. Pressure gradients have a large influence on ventilation design as they act as additional forces on the air column inside the tunnel. Samenvatting: With regard to ongoing developments we recapitulate successful innovations of the tunnel equipment with their benefit and cost in this paper as well as illutions and dilusions. It turns out that man as the element of uncertainty often limits the use of the systems. In theory many of the developments are plausible. In reality, however, difficulties lead to necessary modifications and compromises. Samenvatting: General report. The Thematic Network FIT ‘Fire in Tunnels’ aims to establish and develop a European platform and optimise efforts on fire safety in tunnels. The Network’s ambition is to develop a European consensus on fire safety for road, rail and metro tunnel infrastructures and enhance the exchange of up-to-date knowledge gained from current practice and ongoing European and national research projects. Samenvatting: Mobiliteit Studententeam Team FAST van de TU Eindhoven bouwt met ondersteuning van de Eindhovense busfabrikant VDL Bus en Coach ‘s werelds eerste bus op mierenzuur. Eind 2016 moet de bus klaar zijn, en starten de proeven met dit prototype. Samenvatting: Uitleg van de bouw van de langste landtunnel in Nederland; de Gaasperdammertunnel die in 2020 gereed is. Samenvatting: Fixed Fire Fighting Systems (FFFS) have been routinely used in road tunnels in countries such as Japan and Australia for decades, and there is increased interest in the use of FFFS in parts of Europe, North America and Asia. Samenvatting: This report includes the Proceedings of the 7th International Symposium on Tunnel Safety and Security (ISTSS) held in Montreal, Canada, 16-18th of March, 2016. Samenvatting: Overzicht van te integreren wetten en rechtsfiguren in de omgevingswet. Samenvatting: The objective of the task was to list existing detection and monitoring techniques and to investigate reliability of those systems. Further to that the partners tried to identify existing detection and monitoring equipment installed outside tunnelling, which are potential suitable for installation in a tunnel environment as well. As an aftermath of September 11th 2001 events, acquiring information about technology installed in tunnels and much more about technology installed outside tunnel has become a rather problematic issue as operators of large-scale structures are highly cautious in giving details about any respective structure and the installed technology. Related to already installed equipment this was especially to reliability data. Therefore, the investigation on currently installed detection and monitoring equipment in tunnels was not as successful as expected. Samenvatting: The present analysis have been performed by considering with particular attention all documents reported in the attached bibliography, mainly consisting of specific UPTUN partner contributions. The drawn considerations, anyway, are coming out from data affected by evident limitations. For instance, in  the tunnel data elaboration and assessment are drawn with assumption that all fires are similar due to the fact that there is no available information to enable the properties and characteristic of the fires to be determined and analysed (This presents slight errors in the results as all the injuries have been based on similar accidents when in reality some of the fires might have been significantly different from others). Samenvatting: With a series of recent accidents in the major European alpine road tunnels –Mont Blanc between France and Italy, Tauern in Austria and St. Gotthard in Switzerland – in which some 62 persons died, traffic safety in tunnels has become a burning issue for the public, politicians and experts. Tunnels and underground transport facilities are important means of communication, not only in terms of shorter journeys, but also increasingly out of consideration for the local population and the environment. Generally speaking, important underground transport links are expected to be available without any restrictions and to operate smoothly round the clock. Interruptions due to accidents, technical malfunctions or maintenance work quickly cause traffic jams and delays, and figure in transport policy statistics as economic looses. Samenvatting: On May 21th 2014 a truck blew out a tyre and crashed into the wall of the Heinenoordtunnel nearby Barendrecht, The Netherlands. On impact the truck instantly caught fire and slided over more than 75 meters to the lowest point of the tunnel. The Rotterdam-Rijnmond Fire Department, the Ministry of Infrastructure and Environment (owner of the tunnel) and Efectis Netherlands BV collected information about this recent fire, focussed on fire fighting operations, communication during the incident, fire development in the tunnel and the performance of tunnel safety measures like escape doors, ventilation system and tunnel lining. Samenvatting: The presentations from the Fire Protection and Safety event (23th and 24th of september 2015) are available to view online. Presentations displayed are those with permission from the speaker to publish. Samenvatting: LNG (Liquefied Natural Gas) is een brandbaar gas dat vloeibaar wordt gemaakt door het zeer sterk af te koelen. LNG is een mengsel met als hoofdbestanddeel methaan (aardgas). Daarnaast bevat LNG mogelijk restgassen zoals stikstof, propaan en ethaan. De voordelen van LNG als brandstof zijn de relatief hoge energiedichtheid en de relatief lage uitstoot aan lucht-vervuilende stoffen, zoals CO2 (kooldioxide), NOx (stikstofoxiden) en SO (zwaveldioxide). LNG is een sterk opkomende brandstof voor de transportsector. Samenvatting: Om meer helderheid te scheppen in de wet- en regelgeving rondom railtunnels, heeft een werkgroep van het COB, in samenwerking met het Kennisplatform Tunnelveiligheid (KPT), een verkenning uitgevoerd. De rapportage gaat onder meer in op de relevante wetsartikelen, de verplichte instrumenten en het proces. Samenvatting: A series of pre-tests and tunnel fire model scale tests with and without fire suppression were carried out to investigate effects of fire suppression on production of key combustion products including CO and soot. The key parameters accounted for in the tests include fuel type, ventilation velocity and activation time. The results show that fire suppression indeed has influence on production of combustion products especially for cellulous fires. In case that the fire is not effectively suppressed, e.g. when the water density is too low or activation is too late, the CO concentration and visibility could be worse than in the free-burn test. From the point of view of production of combustion products, only fire suppression systems with sufficient capability and early activation are recommended to be used in tunnels. Samenvatting: The Swedish Civil Contingencies Agency’s (MSB) fire database and statistics form the framework for the national statistics of all fires occurred in Sweden during each year. The data base is based on incident reports from the Fire Rescue Services (FRS). 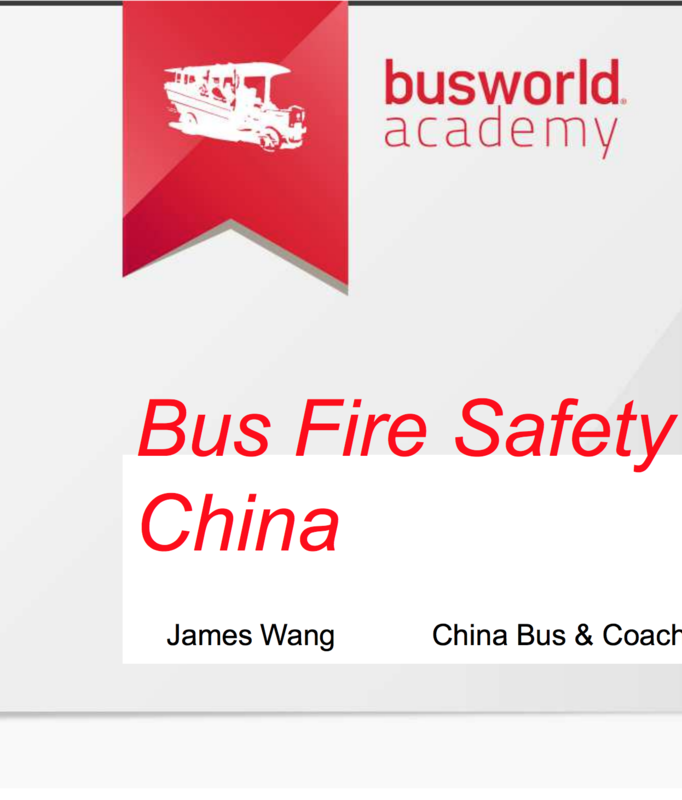 Since 2005, bus fires have separate category in the template for the FRS incident report. The purpose of this survey was to map bus incidents related to fire in commercial traffic between 2005 and 2013. The study includes a total of 1255 records spread over nine-year period. The average number of incidents per year related to fire between 2005 and 2013 was 104, which corresponds to 0.73 % of the buses in the commercial traffic. Cause of incidents has not been possible to map due to limitation in the data material. However, the study shows that most fire incidents originate in the engine compartment (61%), and that the wheel well is the second most common origin area of incident (20%). The study also shows that the bus drivers and staff have a very significant role in the initial stage of the fire-related incidents. Bus drivers extinguished the fire in 26 % of the cases prior to FRS arrival to the accident site. Samenvatting: In de periode september tot en met november 2012 werd het treinverkeer in de Schiphol-tunnel meerdere malen verstoord door brand- en rookmeldingen, waarvan sommige waarschijnlijk onterecht waren. Naar aanleiding van deze incidenten hebben ProRail en NS indertijd aan Horvat & Partners gevraagd een onderzoek uit te voeren naar de incidenten als gevolg van brand- en rookmeldingen die zich voordeden in de Schipholspoortunnel. Samenvatting: This engineering guidance provides information on the design, installation and maintenance of Water Based Fixed Fire Fighting Systems (WFS) for the protection of tunnels. In order to design a WFS for the use in such Subsurface Facilities or to facilitate the preparation of a project and/or a tender invitation, below are presented a summary of layout basics, essential minimum requirements for the system and preconditions to be complied with by designers, installers and tunnel operators. These bases are no substitute for a detailed planning, but they are to be understood as the fundamentals for such detailed design. They allow minimum requirements to be defined to ensure that fixed fire fighting systems for the use in tunnels are designed, put in place and maintained professionally to provide the required level of protection and reliability. Samenvatting: VID Fire-Kill together with Entreprise / Bane-Danmark did in April and May 2009 conduct a series of large full scale Tunnel Fire Tests in the Runehammer Tunnel. The tunnel is an abandon 9m wide, 6m high and 1600m long two driving lane rock tunnel located in Åndalsness on the west coast of Norway. The fire tests involved diesel pool fires and solid class A fires with potential heat outputs of up to 100 MW. Three 20m long nozzle pipe protection sections of the VID Fire-Kill Low Pressure Water Mist Tunnel Protection System were installed in the centre line of the tunnel ceiling in the centre of the tunnel. Water Mist from the Nozzle pipes was manually release in the centre of the tunnel when the water pumps were turned on and water at 10 bar water pressure was applied to the nozzle pipe line. By using a manual system release method, the test fires were provided time to developed, and here by to test the protection system in large fires. All test fires were conducted by Sintef NBL. Sintef NBL did also conduct all measurements, data recordings and documentation of the tests and results. Wat doe je bij een ongeval in een tunnel? Samenvatting: Hoe handel je bij een ongeval in een tunnel Ongevallen in tunnels komen relatief veel voor, en lopen gelukkig meestal goed af. Er kan een onderscheid gemaakt worden tussen wegverkeerstunnels en spoortunnels. Zoals onder het Noordzeekanaal en bij Schiphol. Een ongeval in een tunnel komt niet perse vaker voor dan een ongeval op de openbare weg. Samenvatting: In this thesis, human behavior in rail tunnel fires is explored. Descriptive knowledge is presented related to the evacuation of passenger trains, and the subsequent tunnel evacuation to a safe location. Samenvatting: Deze circulaire strekt ertoe vooraf duidelijkheid te geven over de redenen voor de beslissing om een wegtunnel in een bepaalde tunnelcategorie onder te brengen en over de wijze waarop de Minister tot die beslissing komt. In de praktijk is gebleken dat zowel wegbeheerders als overheden en bedrijfsleven behoefte hebben aan die duidelijkheid. Samenvatting: 15 juli nam een tanker trailer met 16.500 liter brand in de tunnel na het raken rotswand. Niemand raakte gewond, maar de tunnel werd zwaar beschadigd. Samenvatting: Besluit lokaal spoor; kinematisch omgrenzingsprofiel: profiel waarbinnen de spoorvoertuigen met alle daaraan bevestigde losse delen, bij een gelijkmatig verdeelde, volle belasting, in bogen met een straal gelijk aan of groter dan een vastgestelde referentieboog blijven; profiel van vrije ruimte: de vrij te houden ruimte boven en naast een spoor waarbinnen zich geen vaste voorwerpen mogen bevinden, om een ongehinderde doorgang van de spoorvoertuigen te waarborgen; referentieboog: boog met een vastgestelde straal aan de hand waarvan het kinematisch omgrenzingsprofiel en het profiel van vrije ruimte worden vastgesteld; werkmaterieel:spoorvoertuigen, niet bestemd voor het vervoer van personen, die gebruikt kunnen worden voor het verrichten van werkzaamheden in het kader van aanleg en beheer van een lokale spoorweg. Samenvatting: Welke menselijke gevolgen hebben een brand in een bus. Samenvatting: Op 21 en 22 april 2015 organiseerde het KPT een bijeenkomst over de evaluatie van het incident in de Heinenoordtunnel. Deze presentatie geeft weer hoe het incident geëvalueerd is bij RWS en wat er vanuit de Leertafel van hebben geleerd en welke verbeterpunten zijn of worden doorgevoerd. Johan Bosch gaf vanuit de veiligheidsbeambten van RWS een reflectie op dit incident. Samenvatting: Op 21 en 22 april 2015 organiseerde het KPT een bijeenkomst over de evaluatie van het incident in de Heinenoordtunnel. Deze presentatie geeft weer hoe het incident geëvalueerd is bij RWS en wat er vanuit de Leertafel van hebben geleerd en welke verbeterpunten zijn of worden doorgevoerd. Nils Rosmuller gaf vanuit IFV reflectie op dit incident. Samenvatting: Op 21 en 22 april 2015 organiseerde het KPT een bijeenkomst over de evaluatie van het incident in de Heinenoordtunnel. Vanuit Efectis is onderzoek gedaan naar de brandbelasting. De uitwerking van dit onderzoek is in deze presentatie weergegeven. Samenvatting: Op 21 en 22 april 2015 organiseerde het KPT een bijeenkomst over de evaluatie van het incident in de Heinenoordtunnel. Deze pdf omvat de presentatie van Mark Goudzwaard (Rijkswaterstaat) over de evaluatie van het incident. Samenvatting: Op 21 en 22 april 2015 organiseerde het KPT een bijeenkomst over de evaluatie van het incident in de Heinenoordtunnel. Deze pdf omvat de presentatie van Remco van Werkhoven (Veiligheidsregio Rotterdam-Rijnmond) over de reconstructie van het incident. Samenvatting: Tijdens de kennissessie Alternatieve brandstoffen van het KPT op 11 maart 2015 presenteerde Dirk Schaap de ontwikkelingen op het gebied het rijden op verschillende alternatieve brandstoffen zoals CNG, LNG en waterstof. Samenvatting: In dit memo is een opsomming gemaakt van de vragen die in 2014 geïnventariseerd zijn in de werkgroep Overheidsdiensten - Veiligheid moderne voertuigen en Regiegroep Incidentbestrijding LNG1. Het doel van dit memo is om zo compleet mogelijk antwoorden te formuleren op de vragen van hulpverleners en incidentmanagers. Daarbij is een opsplitsing gemaakt naar voertuigen met vloeibaar (cryogeen) gas (LNG) en gas onder druk (CNG en waterstof). Op sommige punten is het definitieve antwoord nog niet te formuleren. Op die punten zijn de vragen open gelaten en zou verder onderzoek, wanneer dat nodig wordt geacht, uitgevoerd moeten worden. Samenvatting: In een bijeenkomst over Alternatieve brandstoffen in tunnels gaf Jetty Middelkoop van de brandweer Amsterdam-Amstelland een presentatie over de gevaren van het gebruik van Alternatieve brandstoffen. Ook wordt de aanpak van de brandweer bij brand door alternatieve brandstoffen zoals o.a. CNG en LNG vermeld. Samenvatting: In dit jaarplan wordt een terugblik over 2014 gegeven en worden de doelstellingen voor 2015 voor het Kennisplatform Tunnelveiligheid weergegeven. Samenvatting: Een onderzoek naar de invloed van onzekerheden op de overdrachtsfase van grootschalige complexe infrastructurele projecten. Het gedrag van de managers uit de projectorganisatie en de beheerorganisatie staat hierbij centraal. Samenvatting: Relevante voorschriften Bouwbesluit 2012 m.b.t. brandveiligheid in tunnels. Samenvatting: De definitie van een veilige vluchtweg is vaak onderwerp van discussie, maar zeker is dat het overdrukventilatiesysteem hier een cruciale rol in speelt. Traditioneel worden overdruk- en tunnelventilatiesystemen als een stand alone-installatie beschouwd. Ontwerpberekeningen van overdrukventilatiesystemen worden gemaakt op basis van verouderde aannames, vuistregels en sterke vereenvoudigingen. Met deze traditionele benadering wordt voorbij gegaan aan het dynamisch gedrag van het ventilatiesysteem als geheel en dat leidt mogelijk, onbedoeld, tot een minder veilige vluchtweg. Samenvatting: The first policy analysis focusses on the topic of clean buses. This is a hot topic because the introduction of clean buses is necessary in order to reach the EU air quality targets. This document gives in-depth background information to make a decision on which bus to choose. Samenvatting: Besluit van 25 november 2013 tot aanwijzing van lokale spoorwegen. Wet lokaal spoor per 1-1-2015. Samenvatting: Het Handboek Tunnelbouw is een digitaal naslagwerk voor het ontwerpen en bouwen van weg- en railtunnels. Het boek biedt inzicht in de civiele aspecten van tunnelbouwprojecten en presenteert potentiële oplossingen in de vorm van praktijkvoorbeelden (best practices). Samenvatting: Moderne voertuigen, zoals elektrische of hybride voertuigen, komen steeds vaker voor in het straatbeeld. Dit stelt hulpverleners van onder andere brandweer, politie en ambulancezorg voor vragen over de risico’s van incidenten met moderne voertuigen. De Brandweeracademie van het IFV ontwikkelde met financiële ondersteuning van het Ministerie van Infrastructuur & Milieu en de RAI Vereniging een instructievideo over het optreden bij incidenten met moderne voertuigen. Samenvatting: Veel tunnels in Nederland zijn of worden voorzien van langs-ventilatie •In tunnels kan filevorming optreden •Hoe moet men aankijken tegen de combinatie van filevorming en langsventilatie ? •Zijn er andere mogelijkheden ? Samenvatting: Alfred Kersaan, operationeel verkeerskundige adviseur RWS Verkeer en Watermanagement Midden Nederland geeft in zijn presentatie aan op welke manier tunneldoseren wordt gehanteerd in de A2 Leidsche Rijn tunnel in Utrecht. Samenvatting: Onderzoeksrapportage waarin centrale onderzoeksvragen met een directe relatie tot het incident in dit onderzoek zijn: • Hoe heeft het incident feitelijk plaatsgevonden; • Hoe is de afhandeling van het incident feitelijk verlopen. Samenvatting: In dit rapport wordt onderzocht of uit brandscenario's en kosteneffectiviteit af te leiden is welke functionele- en prestatie-eisen voor bestaande ondergrondse metrostations gesteld kunnen worden. Samenvatting: Bij de behandeling van de aanvraag voor een bouwvergunning voor diverse tunnelprojecten in Amsterdam bleek dat de toetsing van de veiligheid in de tunnel slecht mogelijk was. Voor de problematiek zijn binnen ALIVe vier oplossingen uitgewerkt. Veilig en vlot door onze tunnels. Samenvatting: Nederland is een tunnelland. We hebben veel tunnels en er komen er steeds meer bij. Rijkswaterstaat zorgt bij de helft van de wegtunnels dat u hier veilig en vlot doorheen kunt rijden. Andere overheden, zoals gemeenten en provincies, beheren de overige tunnels. Samenvatting: The objective of this report is to provide a list of existing legislation, regulations and recognised guidelines regarding operation and safety of road tunnels. It intends to be a tool for all those involved in road tunnel safety. The topics covered by this report are all those related to operation and safety: operational and safety facilities, operational means and procedures, safety approaches, risk analysis and evaluation, etc. Samenvatting: Veiligheidseisen zijn een verzameling van proceseisen en van bouw- en gebruiksvoorschriften waaraan onderdelen van het tunnelsysteem in ieder geval moeten voldoen. Deze komen in het onderhavige rapport aan de orde. Samenvatting: Bij een nieuw te bouwen tunnel moeten de organisatorische maatregelen vanaf het prille begin in de planvorming worden betrokken. Eerst nog globaal, in het tunnelveiligheidsplan (planfase) en het bouwplan (ontwerpfase), maar voorafgaand aan de openstelling van de tunnel moeten de procedures voor onder andere verkeersmanagement, incidentmanagement, beheer en onderhoud en opleiding, training en oefening (OTO)gedetailleerd zijn uitgewerkt in een veiligheidsbeheerplan. Dit plan moet bovendien effectief zijn geïmplementeerd. Na de openstelling van de tunnel moet het veiligheidsbeheerplan vervolgens actueel worden gehouden en moet periodiek worden beoordeeld of het plan in de praktijk goed functioneert. Dit gebeurt onder andere op basis van evaluaties van incidenten en calamiteiten die in de tunnel hebben plaatsgevonden. Samenvatting: Bij een complex project als een tunnelproject zijn er naast 'harde' factoren ook 'zachte' factoren aan te wijzen die kunnen bijdragen aan het slagen (of falen) van een project. Dit rapport biedt concrete handvatten voor het structureel en planmatig managen van die zachte factoren, waardoor gezamenlijke projectdoelstellingen haalbaar worden. Samenvatting: Op 7 november 2007 installeerde de minister van Verkeer en Waterstaat de commissie Versnelling Besluitvorming Infrastructurele Projecten, mede namens de minister van VROM¹ . De volledige opdrachtformulering is opgenomen in bijlage I. Samengevat heeft de minister de commissie het volgende gevraagd: - Maak een analyse van de werkelijke oorzaken van de vertraging van grote infrastructuurprojecten. - Onderzoek de mogelijkheden om de besluitvorming substantieel te versnellen en draag daarvoor oplossingen aan, met inbegrip van zorgvuldige belangenafweging en inspraak. Samenvatting: Website met onderzoeken,kaders, richtlijnen en ontwikkelingen over ondergrondse constructies en de daarbij behorende veiligheidsmaatregelen. Het steunpunt heeft een brede deskundigheid op het gebied van risicoanalyses, verkeerskundige aspecten en in het menselijk gedrag bij calamiteiten. Bovendien hanteert het steunpunt een integrale benadering waarbij de preventie van ongevallen, de zelfredzaamheid en de hulpverlening centraal staan. Samenvatting: In 2010 the Dutch Minister of Transport put forward two important prerequisites regarding the application of additional safety measures such as water mist (which are not explicitly required by law). These concern, 1) the status of proven/non proven technology, and 2) their cost-effectiveness/proportionality, as defined in Dutch Tunnel Law. Regarding these prerequisites, an analysis has been made on the application of water mist in the context of tunnel safety. From time to time it does seem forgotten though, that a sufficient level of safety can be established in several different ways. Simply stacking measures on top of each other, should not be considered a goal in itself. Samenvatting: De Minister van Infrastructuur en Milieu (IenM) heeft de exclusieve bevoegdheid om beperkingen te stellen aan het vervoer van gevaarlijke stoffen (VGS) door een wegtunnel. In dat geval wordt de tunnel in de VLG-regeling ondergebracht bij één van de tunnelcategorieën uit het ADR. Samenvatting: Geheugensteun (herkenningstekens) voor chauffeurs die gevaarlijke stoffen vervoeren. In deze brochure staan onderwerpen die belangrijk zijn voor u als chauffeur. Hij geeft aan wat u mag en wat u niet mag. De informatie is gebaseerd op de wetgeving (VLG/ADR). Samenvatting: Presentatie toepassing landelijke tunnelstandaard bij Waterwolftunnel en Procesbeheersing in realisatiefase bij spoorzone Delft. Samenvatting: ‘Basisspecificatie TTI RWS Tunnelsysteem’, versie 1.1 beschrijft de basisspecificatie van Tunnel Technische Installaties (TTI's), uitgezonderd de Mens Machine Interface (MMI). Het doel van de basisspecificatie is om daarvan de Vraagspecificaties Deel 1 van de TTI van specifieke tunnelprojecten (ook wel de VS1 genoemd) zodanig af te kunnen leiden, dat er uniformiteit tussen de VS1’s van de verschillende projecten ontstaat. Dit doel volgt uit de standaardisatie van het RWS Tunnelsysteem. Samenvatting: Vraag aan Commissie Tunnelveiligheid over het opnemen van brandslanghaspels in de Vlaketunnel. Samenvatting: Tunnels are important infrastructures which facilitate communication between extensive areas of the European Union (EU) and are therefore essential for long-distance transport and the development of regional economies. However, accidents in tunnels, and particularly fires, can have dramatic consequences and can prove extremely costly in terms of human life, increased congestion, pollution and repair costs. The fires in the Mont Blanc (France/Italy) and Tauern (Austria) tunnels in 1999 and in the Gotthard (Switzerland) tunnel in 2001 have highlighted the potential consequences, in human and economic terms, of such accidents in tunnels: dozens of dead and injured, and major European trunk roads blocked for months, if not years. The Commission's concern at this increase in the accident rate led to its White Paper entitled "European transport policy for 2010: time to decide" announcing minimum safety requirements for road tunnels in the trans-European road network. This directive lays down a set of harmonised minimum safety standards dealing with the various organisational, structural, technical and operational aspects. The aim of this directive is to ensure that all tunnels longer than 500 metres, whether in operation, under construction or at the design stage, and forming part of the trans-European road network, comply with the new harmonised safety requirements. Tunnels shorter than 500 metres do not generally need to be equipped with mechanical ventilation systems, as the hot smoke emitted by the fire is naturally stratified. Samenvatting: The purpose of this document is to provide infor-mation on the minimum requirements for the de-sign, installation and maintenance of FFFS in tunnels for the protection of users, fire services, equipment and the tunnel itself. This document does not comment on fire testing, but expects that all systems installed in tunnels will have passed suitable full scale type testing in controlled test conditions. It is the designer’s responsibility to as-sess and develop the design of any FFFS in ac-cordance with the parameters found to be effective in full scale fire tests. Authorities having jurisdiction shall examine any such design prior to its imple-mentation. The design and installation shall in all cases comply with the relevant national standards. Samenvatting: Aan deze notitie is een opdracht van het Gezamenlijk MT vooraf gegaan: ontwikkel regionale uitgangspunten voor risicovolle objecten (te starten met tunnels), waarbij de samenhang tussen incidentbestrijding en risicobeheersing is geborgd. Doel: - Bieden van handelingsperspectief voor risicobeheersing en brandbestrijding (in samenhang met elkaar) omtrent tunnelveiligheid - Zorgen voor een bruikbaar format voor regionale uitgangspunten bij andere risicovolle objecten Landelijk is hiervoor nog niets ontwikkeld. Afgeleid van bovenstaande is de insteek om een basis te vormen voor meer landelijke uniformiteit t.a.v. het handelingsperspectief bij brandbestrijding in wegtunnels. Het achterliggende doel hiervan is om op landelijk niveau als brandweer dezelfde boodschap uit te dragen richting onze eigen organisatie en onze partners. Samenvatting: Deze factsheet behandelt de verkeersveiligheid van tunnels in Nederlandse autosnelwegen. In zijn algemeenheid is het niet te zeggen of ongevallen relatief gezien vaker in tunnels gebeuren dan op open wegvakken. Wel zijn in een tunnel extra risicofactoren aanwezig, zoals de nabijheid van de tunnelwand, de tunnelhelling, beperkte zichtafstanden, in- en uitvoegstroken in of dichtbij de tunnel en grote lichtverschillen bij de in- en uitgang. De verkeersveiligheid in tunnels kan worden verbeterd door vluchtstroken toe te passen waardoor de ruimte tot de tunnelwand wordt vergroot, door de hellingspercentages te beperken en zo snelheids-verschillen te minimaliseren (alternatief is om aparte kruipstroken voor langzaam verkeer aan te leggen), en door eventueel noodzakelijke horizontale bochten ruim in te richten. Verder moeten de tunnelingang en -uitgang zorgvuldig worden ontworpen: de verlichting moet van goede kwaliteit zijn en in- en uitvoegingen en weefvakken moeten vermeden worden, zowel in de nabijheid van de tunnel als in de tunnel zelf, wanneer er geen vluchtstroken zijn. Daarnaast moet de tunnel worden voorzien van een hoogwaardig afvoersysteem voor vloeistoffen. Samenvatting: Het Havenbedrijf Amsterdam is bezig om een openbare kade in te richten (goede weg er naar toe met verharde opstelplaats) zodat LNG bunkering kan plaatsvinden van een tankwagen naar binnenvaartschepen. Het gaat om de groene kade aan de Amerikahaven (ten noorden van Hydrocarbon hotel, ten zuiden van Cargill). Om inzichtelijk te maken of de activiteiten binnen aanvaardbare externe veiligheidsrisico’s op die locatie kunnen plaatsvinden en passen binnen de kaders van de gebiedsvisie Externe Veiligheid Westpoort, is een kwantitatieve risicoanalyse opgesteld. Samenvatting: Underground or partial underground tunnels form a very important part of modern road transportation systems. As the development of hydrogen cars advancing into the markets, it is unavoidable in the near future that hydrogen cars would become the users of ordinary road tunnels. This paper discusses potential fire scenarios and fire hazards of hydrogen cars in road tunnels and implications on the fire safety measures and ventilation systems in existing tunnels. The information needed for carry out risk assessment of hydrogen cars in road tunnels are discussed. hydrogen has a low ignition energy, and wide flammable range suggesting that leaks have a high probability of ignition and result hydrogen flame. CFD simulations of hydrogen fires in a full scale 5m by 5m square cross-section tunnel were carried out. The effect of the ventilation on controlling the backlayering and the downstream flame are discussed. Samenvatting: The paper describes the analysis of the potential effects of releases from compressed gaseous hydrogen systems on commercial vehicles in urban and tunnel environments using computational fluid dynamics (CFD). Comparative releases from compressed natural gas systems are also included in the analysis. Samenvatting: De ontwikkelingen op het gebied van waterstof zullen steeds meer leiden tot een breed gebruik van waterstoftoepassingen in Nederland. Incidenten met waterstof komen niet vaak voor, maar kunnen een grote omvang hebben. Ook kunnen incidenten met waterstof de verdere ontwikkelingen en toe-passingen van waterstof belemmeren. Voorbereiding op dergelijke incidenten is daarom belangrijk. Deze voorbereiding is een gedeelde verantwoordelijkheid van de overheid en initiatiefnemers en dient gericht te zijn op het voorkomen en beheersen van de effecten van een incident. Afstemming tussen de verschillende partijen is hierbij van belang. Deze handreiking kan hierbij een belangrijke rol spelen. Samenvatting: This work effort was conducted to serve two purposes. The first was to produce a video comparing the severity of a hydrogen and gasoline fuel leak and ignition. The second was to determine why the hydrogen flames videotaped were so easily visible. The videotape was completed and lasted approximately 3.5 minutes. The flame visibility was due to naturallyoccurring particulate matter in the air. The particulate matter contained sodium, which enhances flame visibility. Samenvatting: Onderzoek van Onderzoeksraad voor Veiligheid naar brandongeval met aardgasbus te Wassenaar op 29 oktober 2012. Samenvatting: Er is tot op heden weinig aandacht voor geneeskundige hulpverlening in wegtunnels. Daar is wel aanleiding toe. Niet alleen neemt het aantal wegtunnels in Nederland toe. Ook is het geneeskundig optreden in tunnels complex qua bereikbaarheid, toegankelijkheid en werkbaarheid. De GHOR-afdelingen van de Veiligheidsregio’s Haaglanden en Rotterdam Rijnmond zijn met financiering van de ROAZ-regio ZW Nederland een project gestart om: a. de condities voor geneeskundige hulpverlening in wegtunnels te optimaliseren en b. de hulpverleners voor te bereiden op het optreden in wegtunnels. Hier wordt op de eerste vraag ingegaan: optimalisatie van de condities voor geneeskundige hulpverlening. De rapportage is tot stand gekomen in samenwerking met TNO en de Stichting WtTZ (redactie). De VRU, VCMN en bureau veiligheidsbeambte hebben even-eens bijdragen geleverd. Samenvatting: De Nederlandse wetgeving voor wegtunnels (Warvw, Barvw en Rarvw) schrijft voor dat een risicoanalyse moet worden uitgevoerd om de veiligheid van wegtunnels te toetsen. Deze bestaat uit een scenarioanalyse (SceA) en een kwantitatieve risicoanalyse (QRA). De bij de SceA te volgen werkwijze is beperkt uitgewerkt. Zo ontbreken eenduidige en transparante beslisregels voor de selectie van te analyseren scenario’s. In opdracht van de Commissie tunnelveiligheid heeft dit onderzoek aan de hand van acht onderzoeksvragen de mogelijkheid van het formuleren van beslisregels onderzocht. Samenvatting: Dit document geeft een overzicht van de wet- en regelgeving voor de veiligheid in spoortunnels. Met spoortunnels worden tunnels bedoeld die zich bevinden in het nationale spoornetwerk, dat gebruikt wordt voor heavy rail (waarop overigens incidenteel medegebruik door light rail plaatsvindt). Tram- en metrotunnels vallen buiten het bestek van dit artikel. Samenvatting: The following considerations are the author's personal opinion to the constantly surfacing discussion on the application of water mist as the solution to the safety problem in (road) tunnels. Samenvatting: Om voor betrokken partijen inzichtelijk te maken welke aspecten bij beoordeling van de tunnelveiligheid van belang zijn en op welke momenten deze aspecten relevant zijn heeft de Veiligheidsbeambte een toetskader ontwikkeld. In deze versie 1.2 van het toetskader is de gewijzigde wet- en regelgeving verwerkt. Samenvatting: Op deze website van het kennisplatform tunnelveiligheid zijn veel documenten en linken naar kennisproducten vermeld, tevens zijn de gestelde vragen en antwoorden vermeld en is er een mogelijkheid om deel te nemen aan een forum met interessante stellingen. Samenvatting: Het doel van het totale project is internationaal wetenschappelijk vaststellen hoeveel personen maximaal toegelaten mogen worden tot een gebouw of ruimte, zodanig dat de fysieke veiligheid gewaarborgd blijft, rekening houdend met de bouwkundige eisen van een gebouw en het menselijk gedrag (in noodsituaties). Onder bouwkundige eisen worden hierbij bedoeld het aantal toegangen, de breedte van een vrije doorgang van een toegang, draairichting van een deur van een toegang, loopafstanden, doorgang- en opvangcapaciteit, het mogen samenvallen van twee vluchtroutes en gelijkwaardige voorzieningen. Samenvatting: RWS wil de markt benaderen om de oplevering van een door alle veiligheidsactoren geaccepteerde, goed gedocumenteerde computerapplicatie RWSQRA 2.0 te versnellen. Deze zal de wettelijk voorgeschreven versie 1.0 moeten gaan vervangen. Dit betekent samenwerking aangaan bij het uitontwikkelen van het theoretische model en bij het verkrijgen van draagkracht bij V&W, BIZA, VROM, NIFV en NVBR. Na de validatie van het theoretische model dient de computerapplicatie RWSQRA 2.0 worden voltooid en te worden geverifieerd. Samenvatting: Voor de berekening van de risico's in tunnels voor wegverkeer heeft het Steunpunt Tunnelveiligheid. Dit achtergrond document bevat een stapsgewijze beschrijving van het ORA-model. Samenvatting: Voor de berekening van risico's in tunnels voor wegverkeer heeft het Steunpunt Tunnelveiligheid een model voor kwantitatieve risicoanalyse (QRA) ontwikkeld. Samenvatting: Een onderzoek naar de mogelijkheden om de zelfredzaamheid van treinreizigers en het treinpersoneel in de eerste tien minuten bij een brand in de Schipholtunnel te bevorderen. Samenvatting: Het zodanig ontwerpen van vluchtroutes dat niet alleen wordt voldaan aan de minimumeisen in wet- en regelgeving, maar dat ook rekening wordt gehouden met menselijk gedrag. Samenvatting: Dit document bevat de resultaten expertteam Duurzaamheid, dat onder regie van het COB en de TU Delft heeft onderzocht hoe een duurzame tunnel bereikt kan worden. De punten die door het team zijn uitgewerkt, worden meegenomen in de aanbesteding van de Rotterdamsebaan. Samenvatting: Bij SE gaat het vooral over klanteneisen, ontwerpafwegingen en gemaakte keuzes. Door deze informatie goed op te slaan, voorkomen we miscommunicatie. Zo vermijden we fouten, vertragingen en schadeclaims. Samenvatting: Handreiking om proces openstellingsvergunning in de toekomst voorspelbaar te maken. Samenvatting: De VRC richtlijnen zijn bedoeld om primair de ontwerper, maar ook de overige bij veiligheid betrokken partijen, te helpen om tot een afgewogen basispakket van maatregelen te komen. Samenvatting: Doel van dit document is het bieden van een handelingsperspectief voor risicobeheersing en brandbestrijding (in samenhang met elkaar) omtrent tunnelveiligheid. Samenvatting: In deze nieuwe handreiking wordt per voorbeeldscenario aangegeven hoeveel bluswater benodigd is bij een standaardinzet. De bluswaterhoeveelheden zijn bepaald op basis van een ‘deskundigenoordeel’ door de projectgroep van Brandweer Nederland (zie colofon). Bij de bepaling zijn vuistregels voor incidentbestrijdingstactieken en praktijkervaring meegenomen, vanwege de relatie tussen bluswater en alarmering, uitruk- en inzetprocedures. Topaas, een structurele aanpak voor faalkansanalyse van software intensieve systemen. Samenvatting: Rijkswaterstaat is bezig om op alle primaire waterkeringen en andere kunstwerken probabilistisch beheer te introduceren. Centraal in de aanpak van probabilistisch beheer is de risicoanalyse, die sturend is in de testintervallen, gegarandeerde reparatietijd en modificaties. Ook het falen van de gebruikte software is gemodelleerd. Voor de initiële inschatting van de faalkans van de software is de TDT-methode ontwikkeld. In praktijk blijkt deze onbetrouwbare resultaten te leveren. Samenvatting: Het Steunpunt Tunnelveiligheid heeft recente inzichten over de ventilatie van verkeerstunnels gebundeld in het boek "Aanbevelingen Ventilatie van Verkeerstunnels". Deze aanbevelingen zijn gebaseerd op de kennis en ervaring die Rijkswaterstaat de afgelopen jaren heeft opgedaan. Samenvatting: Movares heeft alle wet- en regelgeving op het gebied van tunnels verzameld sinds de nieuwe WARVW. Samenvatting: Deze factsheet behandelt de verkeersveiligheid van tunnels in Nederlandse autosnelwegen. In zijn algemeenheid is het niet te zeggen of ongevallen relatief gezien vaker in tunnels gebeuren dan op open wegvakken. Wel zijn in een tunnel extra risico-factoren aanwezig, zoals de nabijheid van de tunnelwand, de tunnelhelling, beperkte zichtafstanden, in- en uitvoegstroken in of dichtbij de tunnel en grote lichtverschillen bij de in- en uitgang. De verkeersveiligheid in tunnels kan worden verbeterd door vluchtstroken toe te passen waardoor de ruimte tot de tunnelwand wordt vergroot, door de hellingspercentages te beperken en zo snelheids-verschillen te minimaliseren (alternatief is om aparte kruipstroken voor langzaam verkeer aan te leggen), en door eventueel noodzakelijke horizontale bochten ruim in te richten. Verder moeten de tunnelingang en -uitgang zorgvuldig worden ontworpen: de verlichting moet van goede kwaliteit zijn en in- en uitvoegingen en weefvakken moeten vermeden worden, zowel in de nabijheid van de tunnel als in de tunnel zelf, wanneer er geen vluchtstroken zijn. Daarnaast moet de tunnel worden voorzien van een hoogwaardig afvoersysteem voor vloeistoffen. Samenvatting: Het rapport doet verslag van een literatuurstudie naar de gedragsaspecten van veiligheid bij wegverkeerstunnels. Het vormt een onderdeel van een onderzoeksproject over tunnels en veiligheid, dat het Centrum voor Omgevings- en Verkeers-psychologie van de Rijksuniversiteit Groningen uitvoert in opdracht van de Bouwdienst van Rijkswaterstaat te Utrecht. Samenvatting: Een duurzame weg, het klinkt aantrekkelijk. Maar hoe moet zo’n weg eruit zien? Het Corporate innovatieprogramma liet Arcadis de mogelijkheden onderzoeken. Het rapport ‘Vier duurzame wegconcepten’, dat onlangs verscheen, beschrijft vier wegtypen die elk duurzaam zijn op hun eigen manier. ‘Keuzes maken is noodzakelijk. Samenvatting: Het 'Handboek Veilig Ontwerp en Beheer' gaat over sociale veilig-heid in relatie tot de vormgeving en het beheer van de gebouwde omgeving. In het handboek worden vuistregels gegeven waarmee ontwerpers, bouwers en beheerders de eigenschappen van de gebouwde omgeving zodanig kunnen beïnvloeden dat de mogelijk-heden voor criminaliteit en overlast worden beperkt en de veiligheidsbeleving wordt vergroot. Samenvatting: Dit integraal kader gaat in op de wijze waarop RWS de veiligheid binnen haar primaire processen heeft geborgd. Elke RWS’er heeft bijna dagelijks met veiligheid te maken. De één als manager, de ander als projectleider of opsteller van contracten. Medewerkers dienen de beleidsverklaring te kennen en daar naar te handelen. Samenvatting: SINTEF is the largest independent research organisation in Scandinavia. We create value through knowledge generation, research and innovation, and develop technological solutions that are brought into practical use. Samenvatting: ITA COSUF is the Centre of Excellence for world-wide exchange of information and know-how regarding safety and security of underground facilities in operation. ITA COSUF - the Committee on Operational Safety of Underground Facilities was founded at the 33rd ITA-AITES World Tunnel Congress (WTC) 2005 in Istanbul, following a joint initiative of 8 European research projects which all aimed at an improved tunnel safety. It is one out of four ITA committees and supported by PIARC, the World Road Association. The Committee’s scope concerns the operational safety in tunnels and other underground facilities as well as security. Samenvatting: Voorschriften ten aanzien van de toepassing, de plaatsing en de uitvoering van enkele in het RVV 1990 opgenomen verkeersborden, onderborden en verkeerstekens op het wegdek. Samenvatting: Raakvlakken tussen civiel en tunneltechnische installaties. Samenvatting: Praktijkvoorbeeld van een aanvalsplan van Brandweer Amsterdam voor een waterstofstankstation en een door waterstof aangedreven bus. Samenvatting: Agentschap NL heeft Kiwa Gas Technology opdracht gegeven om aan de hand van gesprekken met een aantal partijen te inventariseren welke risico’s men ervaart en welke maatregelen men genomen heeft om deze risico’s te reduceren. Kiwa Gas Technology heeft deze ervaringen aangevuld met eigen kennis, de verzamelde inzichten gerubriceerd en geordend, en gerapporteerd aan opdrachtgever middels dit rapport. Samenvatting: Dit betreft een richtlijn van het Europese parlement en de raad van 19 november 2008 betreft het beheer van de verkeersveiligheid en de weginfrastructuur. Samenvatting: In deze publicatie vindt u informatie over de verkeersborden en verkeersregels in Nederland. De publicatie is een verkorte versie van de Wegenverkeerswet 1994 en het Reglement verkeersregels en verkeerstekens 1990. Samenvatting: Naar aanleiding van een drietal branden waarbij tankauto's geladen met gevaarlijke stoffen zijn betrokken heeft de Onderzoeksraad voor Veiligheid een veiligheidsstudie gedaan. De tankauto's waren geladen met LPG, ethylacetaat en benzine. Hierbij is gekeken naar het optreden van de brandweer, de risico's die verbonden zijn aan het vervoer van gevaarlijke stoffen en meer specifiek naar de gevolgen van lekkende brandstoftanks. Samenvatting: Dit wetsvoorstel implementeert richtlijn 2004/54/EG pdf icoon inzake minimumveiligheidseisen voor tunnels in het trans-Europese wegennet. De richtlijn heeft als doel het bereiken van een uniform niveau van bescherming in wegtunnels voor alle Europese burgers. Zij bevat enerzijds een aantal organisato-rische en procesmaatregelen, voornamelijk opgenomen in de richtlijn zelf, en een aantal technische voorschriften, opgenomen in de bijlagen bij de richtlijn. Samenvatting: Het Bouwbesluit is een verzameling bouwtechnische voorschriften waaraan alle bouwwerken in Nederland, zoals woningen, kantoren, winkels, ziekenhuizen, tunnels etc. minimaal moeten voldoen. Samenvatting: TNO studie naar de gevaaraspecten van het vervoer van nieuwe stoffen zoals waterstof, LNG, CNG, stikstof en kooldioxide als mede de toepassing van een aantal van deze stoffen als voertuig brandstof. Met name is gekeken wat de gevolgen van het gebruik van deze stoffen is voor de QRA-tunnels. Momenteel worden deze stoffen niet meegenomen in de QRA omdat de verpakkingen meestal kleiner zijn dan 100 kg. Samenvatting: This report aims at gathering the knowledge learned during the InsHyde project, as well on a theoretical point of view as on a practical point of view. This report will focus on the use of hydrogen in confined spaces and the necessary safety measures to be taken. It does not aim at gathering all the documents issued by InsHyde and HySafe on this subject but to give an overview of each topic. References to detailed documents, available via HySafe, will be made in each chapter so that each reader may deepen the subject of interest for him or her. To be fully complete, this report will also make references to existing standards and best practices. In a first chapter, the physical properties of hydrogen will be briefly summarized. In a second chapter, we will focus on the risk control measures to be applied for a safe use of hydrogen indoor. This chapter aims at improving the safety of existing systems and at designing a safe system in an integrated way. In a third chapter, we will focus on the behaviour of hydrogen in potentially accidental situations and this means release, dispersion and of course ignition and explosion. In the fourth chapter we will give a short overview of risk assessment methodology and some examples of what have been done amongst HySafe partners to design safe experiments with hydrogen. At last, all the procedures followed by HySafe partners to design and perform safe experiments with hydrogen (dispersion, ignition, explosion, etc…) are gathered in the annex. The authors would like to thank the European Commission for partial funding of this work through the HySafe NoE project. Samenvatting: De wegenverkeerswet heeft betrekking op alle voor het openbaar verkeer openstaande wegen of paden met inbegrip van de daarin liggende bruggen en duikers en de tot die wegen behorende paden en bermen of zijkanten. Samenvatting: Brief van de Commissie Tunnelveiligheid en de Adviesraad Gevaarlijke stoffen aan de minister van I&M waarin om aandacht wordt gevraagd voor het risico van het gebruik van alternatieve brandstoffen in tunnels. Gevraagd wordt om hier nader onderzoek naar te laten doen. Samenvatting: The National Research Council of Canada (NRCC) and the Fire Protection Research Foundation (FPRF), with support of government organizations, industries and private sector organizations, initiated Phase II of an international project that aims to investigate the application of current fire detection technologies for roadway tunnel protection. The project includes studies on the detection performance of current fire detection technologies with both laboratory and field fire tests combined with computer modeling studies. In addition, the project includes studies on their reliability and availability in roadway tunnel environment. This paper describes the current status of road tunnel fire detection technologies and reports on the progress of the research project with a view to its goals, scopes and tasks. Samenvatting: De TIS-matrices en beslisbomen in dit document zijn identiek aan die in Calamiteitenmatrices & Inzetstrategieën HSL-Zuid en Betuweroute, versie 2.0 van 16 oktober 2007, in welke publicatie ze de bijlagen A, B en C vormen. Ze zijn hier in een apart document samengebracht uit oogpunt van handzaamheid. Samenvatting: Deze checklijst voor gebruikersvergunningen voor tunnels kan als voorbeeld dienen voor diverse gebruikersvergunningen. Het zal het checken met betrekking tot gebruiksfuncties vergemakkelijken en standaardiseren. Naast de diverse gebruikersvergunningen is hierbij natuurlijk de gebruikersvergunning voor een tunnel of tunnelvorming bouwwerk voor verkeer van belang. Samenvatting: Dit document beschrijft de vier fasen van het langstransport en in hoofdlijnen de activiteiten van de functionarissen van de betrokken organisaties en bedrijven. Dit document is bestemd voor de organisaties van de brandweer en de GHOR in de veiligheidsregio's waarin het HSL-traject ligt. Aan de hand van dit document kan in de preparatiefase een vertaling worden gemaakt naar de procedures en werkwijzen van de functionarissen van de overheidshulpdiensten. Prorail kan een vertaling maken naar de procedures en werkwijzen van de eigen medewerkers die een rol moeten vervullen in de procedure langstranport. De procedure kan worden aangepast op de regionale omstandigheden, mits dat geen gevolgen heeft voor de werkwijze van Prorail, Infra management BV (Infraspeed) en NS Highspeed. Samenvatting: Met het programma FLACS worden een aantal CFD berekeningen uitgevoerd. Hierbij worden de effecten beschreven van het vrijkomen, en tot ontbranding komen, van door waterstof dan wel door CNG aangedreven personenwagens en bussen. Tevens wordt onderscheid gemaakt naar twee types tunnel doorsnedes. Rectangular and Horsshoe. Samenvatting: In dit artikel wordt een overzicht gegeven van een aantal alternatieve energiebronnen (ethanol, FAME, Biogas CNG, CBG, DME,waterstof, elektriciteit) en worden trends en omvang van het gebruik beschreven. Ook een aantal restricties in het gebruik die in een aantal landen worden toegepast worden beschreven. Tot slot worden een aantal ongevalscasuistieken beschreven. Samenvatting: Op 29 oktober 2012 ontstond in Wassenaar brand in een streekbus die op aardgas (CNG) reed. Nadat de chauffeur de bus tot stilstand had gebracht en de inzittenden waren uitgestapt, breidde dat brand zich uit vanuit de motorruimte tot de rest van de bus. Samenvatting: De overeenkomst is kort en eenvoudig. Het belangrijkste artikel is artikel 2. Samenvatting: In deze wet en de daarop berustende bepalingen worden onder gevaarlijke stoffen mede verstaan: voorwerpen die zodanige stoffen met gevaarlijke eigenschappen bevatten. Samenvatting: Deze informatie bevat de regeling inzake het vervoer van gevaarlijke goederen over de weg op artikel 10 van richtlijn 95/50/EG betreft de uniforme procedures voor de controle op het vervoer van gevaarlijke goederen over de weg. Samenvatting: In deze richtlijn wordt een geheel van geharmoniseerde minimale veiligheidsnormen vastgelegd die betrekking hebben op de organisatorische, structurele, technische en operationele aspecten. Dit was de originele richtlijn. Hierna zijn er nog twee wijzigingen op deze richtlijn aangebracht. Samenvatting: Krachtens deze richtlijn worden procedures vastgesteld en uitgevoerd met betrekking tot veiligheidseffect beoordelingen, verkeersveiligheid audits, het beheer van de verkeersveiligheid van het wegennet en verkeersveiligheid inspecties door de lidstaten. Samenvatting: specifieke bijzonderheden van tunnels met betrekking tot operationele en veiligheidseisen. Dit onderdeel gaat in op de geometrische eigenschappen van de tunnels en hun invloed op de werking en veiligheid. Samenvatting: If tunnels are longer than a few hundred metres, specific equipment is required to enhance safety to the users, both in normal situations and in case of accidents. To reduce the risks of accidents and limit the possible consequences, but also to keep an adequate level of comfort to the users, a large variety of equipment can be installed. Samenvatting: The materials used in the structures and equipment of a tunnel should neither burn nor produce large quantities of toxic smoke if a fire occurs in the tunnel. Samenvatting: De Wet aanvullende regels veiligheid wegtunnels (Warvw) is per 1 juli 2013 gewijzigd. De wet geldt voor alle nieuwe en bestaande wegtunnels die langer zijn dan 250 meter. Samenvatting: Diverse Engelstalige documenten van SINTEF over branden in tunnels. Samenvatting: Publicaties en onderzoeken over branden in tunnels, van het Zweedse onderzoeksinstituut SP. Samenvatting: De Stichting Wetenschappelijk Onderzoek Verkeersveiligheid SWOV is het nationale wetenschappelijke instituut voor verkeersveiligheidsonderzoek. Het is de missie van de SWOV om met kennis uit wetenschappelijk onderzoek bij te dragen aan de verbetering van de verkeersveiligheid. Samenvatting: The handbook on the scenarios Roadtunnel, Metrostation and Parking lot will be put to the test during a realistic exercise week, planned in June 2011. All civil protection organisations involved in accidents and disasters (fire brigade, police, medical service and public authority) will be actually trained during this exercise week. Also operators working at underground facilities, will be trained during this exercise. Experts in the field participate at the workshops and share their knowledge with the programme makers. The preparations and results of the three ETE-programmes will contribute to a new European network on specific scenarios for underground facilities. The network will enhance cooperation and coordination between public civil protection organisations and operators of infrastructures. Furthermore, successful preventive measures can be tested and trained at the various European training institutes and study centres. Samenvatting: Algemene informatie over tunnels en tunnelveiligheid van TNO. Link naar databank TNO. Samenvatting: Diverse documenten via de website van TNO over Gevaarlijke stoffen in tunnels. Samenvatting: Link naar databank The Organisation for Economic Co-operation and Development (OECD) The OECD provides a forum in which governments can work together to share experiences and seek solutions to common problems. We work with governments to understand what drives economic, social and environmental change. We measure productivity and global flows of trade and investment. We analyse and compare data to predict future trends. We set international standards on a wide range of things, from agriculture and tax to the safety of chemicals. Samenvatting: Via deze link zijn alle Europese wetten- en regelgevingen op te vragen, onder andere: - Richtlijn minimale veiligheidseisen voor tunnels van het trans-Europese wegennet - Rectificatie van Richtlijn 2004/54/EG van het Europees Parlement en de Raad van 29 april 2004 inzake minimumveiligheidseisen voor tunnels in het trans-Europese wegennet In deze richtlijn wordt een geheel van geharmoniseerde minimale veiligheidsnormen vastgelegd die betrekking hebben op de organisatorische, structurele, technische en operationele aspecten. Deze richtlijn moet ervoor zorgen dat alle tunnels met een lengte van meer dan 500 m, in gebruik, in aanbouw of in de ontwerpfase, die deel uitmaken van het trans-Europese wegennet, te onderwerpen aan nieuwe geharmoniseerde veiligheidseisen. Tunnels die korter zijn dan 500 m hoeven over het algemeen niet te worden uitgerust met mechanische ventilatiesystemen omdat de hete rook van het vuur op natuurlijke wijze in lagen wordt verdeeld. Samenvatting: Dit document beschrijft wat te doen bij calamiteiten bij het gebruik van een waterstofbus van het type Citaro O-530 BZ. Samenvatting: De proceshandreiking Veiligheid ondergrondse bouwwerken vervangt de leidraad Veiligheid in ondergrondse bouwwerken uit 1999. Het initiatief voor deze nieuwe handreiking is genomen door het IFV. In de uitwerking heeft het IFV samengewerkt met het Centrum voor Ondergronds Bouwen (COB). Samenvatting: This paper proposes a method of detecting sensor failure by comparing measured and predicted values of air velocities and pollution concentrations in longitudinally ventilated tunnels. Samenvatting: A risk analysis as decision making tool for tunnel design and operation in which several risk methods are compared. Samenvatting: Op 14 december 1992 heeft de Directeur van de Dienst Milieu en Waterstaat van de Provincie Zeeland in zijn functie als projektdirecteur van de Westerscheldeoeververbinding (WOV) prof. ir .drs. J.K.Vrijling van de faculteit der Civiele Techniek van de Technische Universiteit Delft (TUD) benaderd met het verzoek een risico-analyse van het WOV -project uit te voeren. Het zwaartepunt zou daarbij moeten liggen bij de financiële risico's. Doch een oordeel over de technische risico's in bouw-en eindfase maakte in het licht van mogelijke overschrijdingen in bouwtijd en kosten ook deel uit van het verzoek. Samenvatting: Samenvatting en conclusies van de Strategische Studie Ondergronds Bouwen (COB-studie N710). Samenvatting: De DC-COB-commissie T118 heeft de emissieverspreiding bij tunnelportalen nader onderzocht om te komen tot een nauwkeurige bepaling van de luchtkwaliteit. In het eindrapport zijn de resultaten van de verschillende deelonderzoeken samengebracht en beoordeeld. Het rapport is daarmee een weergave van beschikbare internationale literatuur en metingen bij tunnels. Samenvatting: This document investigates and reports in a systematic way the various risks involved in the building process of a bored tunnel in soft soil conditions as present in The Netherlands. Use has been made of FMEA (Failure Mode and Effect Analysis) and Event Tree and Fault Tree techniques. For every part of the building process an inventory of possible irregularities and their consequences has been made. Samenvatting: Dit rapport is gemaakt in het kader van het CUR/COB project N110: "Veiligheid tunnels bij calamiteiten en voor gebruikers". Het betreft het eindresultaat van Taak 1 "Inventarisatie veiligheidsvoorzieningen in tunnels". Het beoogde projectresultaat was: "een nationale (en internationale) inventarisatie van de stand van zaken t.a.v. veiligheidsvoorzieningen in tunnels, alsmede van de bij ontwerp en selectie betrokken argumenten en overwegingen (inclusief kosten)". Samenvatting: Sinds het verschijnen van de risioatlas 1997 zijn door vrijwel alle provincies hernieuwde waarnemingen van het transport van gevaarlijke stoffen uitgevoerd. In dit rapport worden de resultaten van de actualisatie samengevat. Samenvatting: Het project MAVIT (maatschappelijk aanvaarbaar veiligheidsniveau in tunnels) heeft als doel om een basis te vormen voor de besluitvorming van de veiligheid bij tunnels, overkappingen e.d. Samenvatting: The lack of systematic regulation is in part the result of limited tools to assess risks and make decisions. This project is a comprehensive package covering both regulatory and technical issues. Samenvatting: Op verzoek van de Bouwdienst Rijkswaterstaat heeft de Mdeling Industriële Veiligheid van het Instituut voor Milieu- en Energietechnologie TNO een studie uitgevoerd naar de gevolgen voor weggebruikers en omgeving van het vervoer van gevaarlijke stoffen via overkapte wegen. Samenvatting: Der vorliegende Bericht ist eine Erganzung zum Forschungsbericht "Brand versuche in einem Tunnel", welcher im Heft 50 (Teil 1 und 2) der Schriftenreihe "StraBenforschung" veröffentlicht wurde. Samenvatting: The key question in this report is: which route is, for a specific location, preferable for transporting hazardous materials, or certain classes of them, and is the transport of these materials acceptable in terms of risk? Samenvatting: De voorliggende Leidraad Scenarioanalyse beschrijft de binnen het Steunpunt Tunnelveiligheid ontwikkelde methodiek voor scenarioanalyse voor wegtunnels.